On the evening of Tuesday 30 October 2018, a star-studded guest list gathered at London’s Fortnum & Mason’s stylish 3’6 Bar to celebrate and view the final designs created by the Prince’s Trust Mentorship Programme Award winners. Check out the gallery below to see all those who attended this special event. Carol Woolton, Shaun Leane, Solange Azagury-Partridge, Stephen Websiter and Theo Fennell. Courtesy of Dave Benett. Carol Woolton. Courtesy of Dave Benett. Carol Woolton with Louis Browning, Hannah Jackson, Neev Spender, Mollie Taylor and Katherine Anderson. Courtesy of Dave Benett. Dame Vivienne Westwood and Andreas Kronthaler. Courtesy of Dave Benett. Suzy Menkes and Dame Vivienne Westwood. Courtesy of Dave Benett. Shaun Leane and Neev Spencer. Courtesy of Dave Benett. Mollie Taylor and Jimmy Carr. Courtesy of Dave Benett. Ewan Venter and Tania Bryer. Courtesy of Dave Benett. Benoit Marechal, Meredith Ostrom and Sascha Lilic. Courtesy of Dave Benett. Poppy Kain, Venetia Scott, Gianluca Longo and Carol Woolton. Courtesy of Dave Benett. Sascha Lilic and Benoit Marechal. Courtesy of Dave Benett. Sabine Getty. Courtesy of Dave Benett. Sabine Getty and Emilia Wickstead. Courtesy of Dave Benett. Emilia Wickstead. Courtesy of Dave Benett. Ozwald Boateng. Courtesy of Dave Benett. Meredith Ostrom. Courtesy of Dave Benett. Ewan Venter and Kathy Lette. Courtesy of Dave Benett. Rt Hon Ed Vaizey MP and Sharleen Spiteri. Courtesy Dave Benett. Harry Enfield and Tania Bryer. Courtesy of Dave Benett. Noelle Reno. Courtesy of Dave Benett. 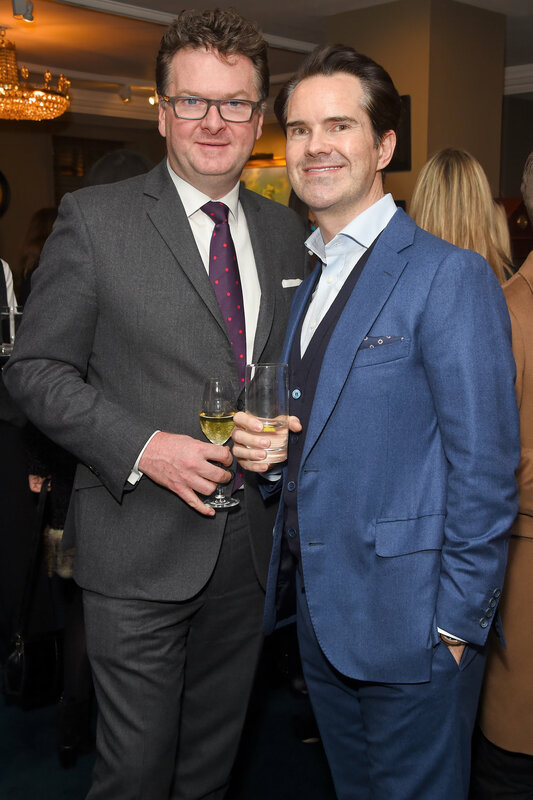 Ewan Venters and Jimmy Carr. Courtesy of Dave Benett. Kathy Lette and Theo Fennell. Courtesy of Dave Benett. Andreas Kronthaler and Geoffrey Mann. Courtesy of Dave Benett. Alan Carr, Amy Webster, Stephen Webster and Paul Drayton. Courtesy of Dave Benett. Paul Drayton and Alan Carr. Courtesy of Dave Benett. Geoffrey Mann. Courtesy of Dave Benett. Kathy Lette. Courtesy of Dave Benett. Theo Fennell and Louise Fennell. Courtesy of Dave Benett. Suzy Menkes. Courtesy of Dave Benett. 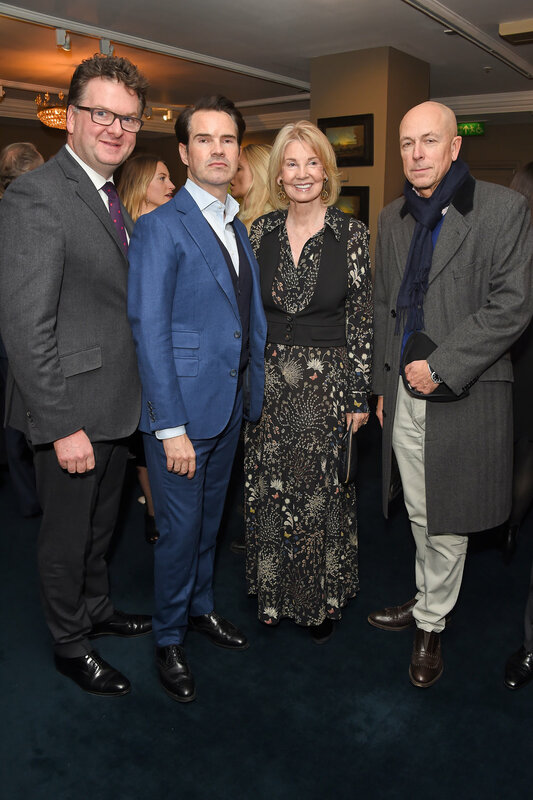 Ewan Venters, Jimmy Carr, Hilary Weston and Dylan Jones. Courtesy of Dave Benett. Theo Fennell, Mollie Taylor and Jimmy Carr. Courtesy of Dave Benett. Andreas Kronthaler and Dame Vivienne Westwood. Courtesy of Dave Benett. Hilary Weston, Galen Weston, Stephen Webster and Ewan Venters. Courtesy of Dave Benett. Solange Azagury-Partridge and Dylan Jones. Courtesy of Dave Benett. 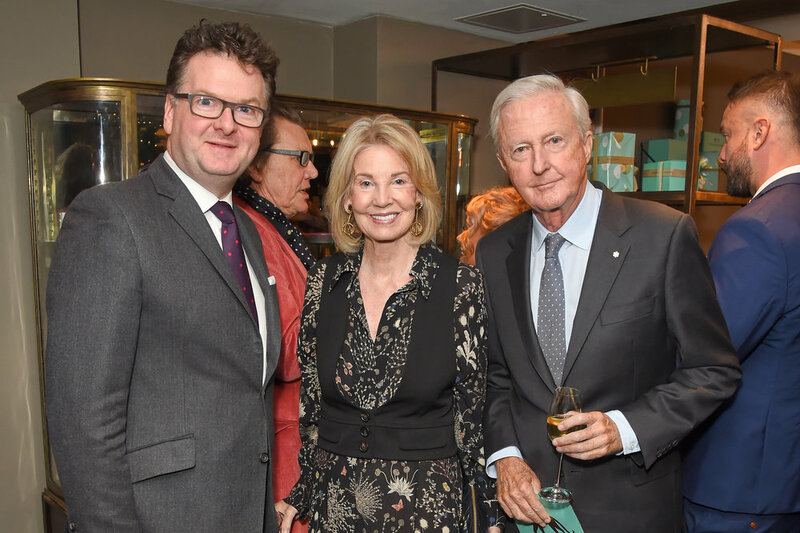 Ewan Venters, Hilary Weston and Galen Weston. Courtesy of Dave Benett. Neev Spencer. Courtesy of Dave Benett.